Video content — done right — has the power to transform a brand from a background player to an established powerhouse. And it's something you should seriously consider integrating into your own marketing mix. Proof? Intuit, the maker of software QuickBooks and TurboTax, lived quietly behind the scenes until its first-ever marketing campaign catapulted the brand into the limelight. Intuit’s campaign, which covered both digital and television media, revolved around a Pixar-like story about a friendly robot. And it worked: Within a week, Intuit’s online video racked up 16.8 million views, and more than 5 million viewers watched the entire video. By the time the campaign closed, Intuit had earned a 17 percent bump in brand awareness and a 27 percent increase in brand favorability. By telling a great story through the right medium, Intuit went from the name on the bottom of the TurboTax website to a preferred option in the minds of its target audience. The secret sauce here, of course, is storytelling. Storytelling personifies a brand better than any other tactic. When audience members relate to a story on a personal level, they remember the brand behind it — and, when it comes time to purchase, they give that brand the first shot at their business. Stories are the most powerful marketing weapon, and videos are the most effective storytelling vehicle. Audiences have short attention spans, so long-winded articles have limited effects. Photos alone can certainly be nice, but brands can only tell so much "story" in a still image. When that story is made dynamic, a brand can win headspace in its customers’ minds and plant the seed of loyalty. According to Syndacast, 52 percent of marketers surveyed said video has better ROI than any other type of content. People view ads, but they engage with video. That engagement translates to increased brand preference. The four elements of an effective narrative arc are character, conflict, journey and resolution. Audiences need such an arc — and someone to relate to, a problem to solve, a way to solve it and the satisfaction the solution provides them. They also need the element of conflict. Without conflict, the journey is too easy. Customers enjoy a feel-good story, but brands must position themselves as the enablers of that feel-good story’s success. In a good video, the journey portrayed showcases a central character (the "hero") using the brand to achieve resolution, whether or not the problem being focused on gets solved or at least a conversation is begun. When consumers recognize themselves as the character(s) in the story, they can then imagine taking the same journey themselves. As the video wraps, the audience should see how the brand enables its hero to overcome the odds. That is where the viewer then sees the story’s call to action. In short, the video — if it's an effective one — demonstrates why its viewers should think about the brand the next time they take this journey themselves. A picture is worth a thousand words, but according to research from Forrester, a video is worth about 1.8 million words. Brands can communicate exponentially more information than they can through written text or still images. Video's effectiveness at communicating stems from the fact that it’s the most efficient way to share information. A reason for that is the ability to communicate through subtext (silence, body language, facial expressions — in short, the elements of a movie). Those nonverbal cues become the key to driving brand recall and loyalty. What emerges is a story arc that elicits strong emotions, and that emotional tie-in is what keeps customers coming back. 1. Think beyond the story. The story is important, but if no one hears it, the effect of the tale is limited. Focus on the strategy behind the script and the shots. Plan out the details from how to tell the story to how to get the video in front of the right audience. BuzzFeed came out of nowhere to take over the world of cooking videos, with its Tasty series. The brand targeted hungry cooks on Facebook and on social media, using quick, eye-catching videos about delicious food. People in the videos took the common journey of deciding "what to eat tonight" and solving that problem using BuzzFeed recipes. The Tasty videos used were short and topical, covering relevant events like a Super Bowl party and giving social media browsers the perfect (branded) solution to this and other dining dilemmas. 2. Represent the brand in every shot. The story should reflect the brand’s positioning, but so should the colors, wardrobe, tone of voice, location, etc. People who watch the video will think about those subtle cues when they remember it, and any one of these factors could make or break an impression. Glossier, for instance, films spontaneous-feeling videos (via Facebook Live) with its New York-based employees. The company also posts videos of everyday people going through their morning routines, which helps real people see themselves using Glossier products. Emily Weiss, Glossier founder and CEO, attributes much of her company’s success to this down-to-earth video marketing. According to Weiss, videos on social media helped the brand triple its customer count from 2016 to 2017. 3. Use real human stories. Authentic testimonials are more powerful than stories made up in conference rooms. Each testimonial video should introduce the brand and the problem, then talk about how the product or service solved the issue. Some testimonials succeed by tugging at heartstrings. In a testimonial for My Houston Surgeons, a client of ours, the woman portrayed told how she'd learned she had stage-4 breast cancer when she picked up her toddler and broke her neck. The video tells her emotional story and the journey she took alongside her doctor to her resolution of survival. Other testimonial videos provide great firsthand insight into a customer's experience with a brand. By including a well-known person or influencer, a company can gain the opportunity to instantly establish credibility, which is worth a lot. One of our clients, Luxury Presence, established a great relationship with its own client, Realtor Jade Mills, by featuring her in a testimonial video in which Luxury Presence attempted to position itself as a leading brand. Testimonials can work well because they are difficult to fake. People trust other people, even those they’ve never met, because they see themselves in those people's struggles and triumphs. So, even if a testimonial isn’t totally objective, people still see third-party opinions as more objective than claims that come directly from the brand itself. 4. Keep videos short and compelling. In marketing, narrative videos should not exceed three minutes. Our company found that viewership and viewer attention drop significantly after the first minute (though there are exceptions: Some people are more interested in longer content and tend to be the ones who convert into brand loyalists — yet even they don’t want to watch a full-length movie about a brand). 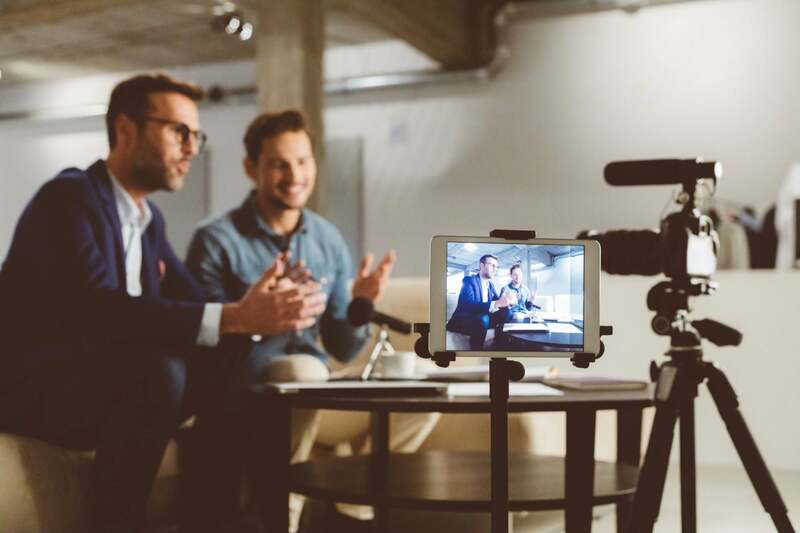 In the end, brands putting out brief, well-positioned, story-driven videos have the power to transform themselves in the eyes of their audiences. A great video strategy not only boosts revenue but also sets the stage for long-term loyalty. Use these tips to tell better stories and turn your own uninterested prospects into brand fanatics.